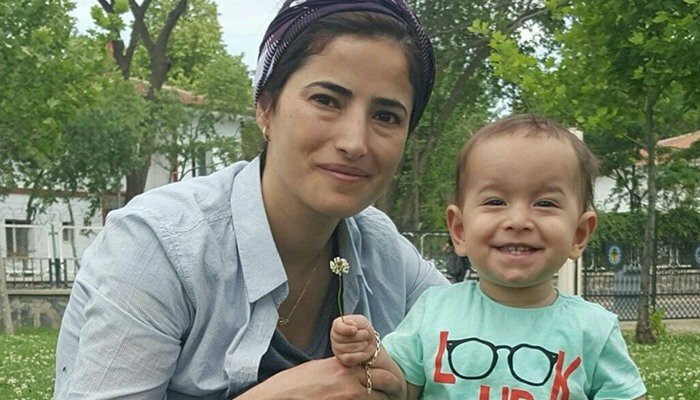 Lice Municipality’s former co-mayorRezan Zuğurli was arrested along with her 1-year-old son while her mother Firuze Zuğurli was battered by police officers during the operation on Thursday. Zuğurli, the co-mayor of the Diyarbakir’s Lice Municipality until she was removed as part of the government’s post-coup crackdown against the Kurdish regions on Feb 10, was earlier sentenced to 4 years and 2 months in prison on accusations of committing crime one behalf of a terrorist organization without being a member of it. The 28-year-old former mayor was Turkey’s youngest local administrator when she was elected to run Lice on the pro-Kurdish Democratic Regions Party’s (DBP) tickets in 2014. Zuğurli was rounded up while she was passing through a central avenue in Camlica district, Diyarbakir along with her mother Firuze. “A group of men in civilian clothes, who we didn’t know were as police, came towards us and surrounded us. They started to swear at us and insulted us before we could understand anything. They wanted to take Rezan. I stood in front of my daughter and said ‘Who are you? Why are you taking my daughter? You can’t do this’.” Firuze told media. 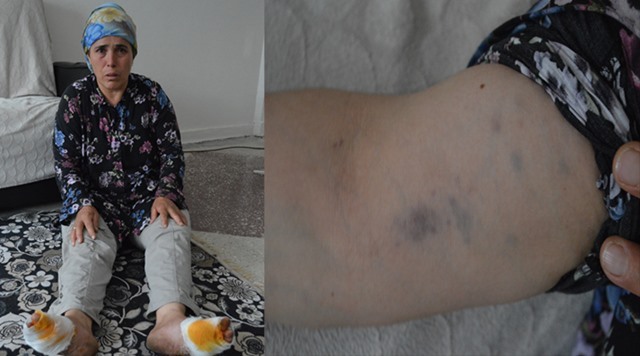 “While I was getting in the vehicle one of them grabbed my arm and pushed me to the ground outside. I fell down into hot asphalt from the road work that was going on. My feet burned because my slippers fell off. Bruises formed on my arm. They constantly swore and insulted us. When they took my daughter, they punched her. I said: ‘Aren’t you ashamed to talk like this with a woman?’ one of them leaned down threatened me and said, ‘I will kill you’.” Firuze added.